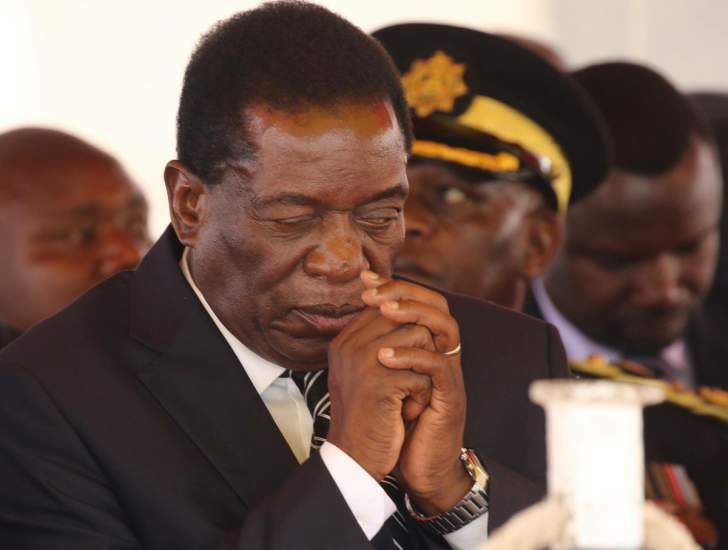 People behind the Bulawayo bombing which killed two people and left scores of Zanu-PF members with severe injuries in June are now known and will be dealt with soon after the current electoral processes are over, President-elect Emmerson Mnangagwa has said. The bomb was detonated soon after Mnangagwa's address when members of the VIP were leaving the stage and almost wiped the revolutionary party's top four, except for Obert Mpofu (secretary for Administration) who did not attend the rally due to other commitments. Mnangagwa and other VIPs were safely evacuated, but several people were injured. Addressing Zanu-PF candidates who excelled in the July 30 harmonised elections, President Mnangagwa said he was happy that one of his deputies Kembo Mohadi, who was also seriously injured in the unfortunate incident, was back and recovering. "We want to thank God intervened on what happened in Bulawayo," said President Mnangagwa. "We now have the knowledge on who did it. We want the current (electoral) processes to pass then we will deal with that matter. But we want to thank God that he (VP Mohadi) is here with us today otherwise we could have died together in Bulawayo in that incident. "We lost two colleagues and some were seriously injured. We still have two who are still in a critical condition. Our chairman (Oppah Muchinguri) Kashiri was also seriously injured and our VP Mohadi was injured on his leg. Our doctors here recommended that he be transferred to South Africa so we sent him to South Africa with others who are not here. Mai Muchinguri-Kashiri was the first to be discharged and we are happy that she is back with us here. "(Marble) Chinomona also went to South Africa, but she said she is now fine. Uyu limping Jack watave naye pano (VP Mohadi) is coming in the public for the first time. He was in great pain and he has not yet fully recovered but because he is a soldier we are with him here today. He lost his brothers during that time and we encouraged him to take a rest. We hope that he we will quickly recover because we want him back at work. So Mohadi we love you and get well soon." Commenting on the recent elections, Mnangagwa outlined some of the challenges faced by the party, including the issue of regalia which he said arrived late. He said it was important to do a truthful post-mortem of the elections and to ensure another sweeping victory in future elections. Mnangagwa said his party never interfered with the operations of the Zimbabwe Electoral Commission (ZEC). He said even at Government level, ZEC's independence was never interfered with. Government, the President said, only ensured that the electoral body had adequate funds to execute its mandate. The meeting was also attended by the two Vice President Dr Constantino Chiwenga and Kembo Mohadi, Zanu-PF national chair Oppah Muchinguri-Kashiri, secretary for Administration Obert Mpofu and several Politburo members.